Beach drinks are my favorite, and the Salty Dog Cocktail makes me feel like my toes are in the sand no matter where I am! It’s so refreshing, and delicious too! In a few weeks, we head to our favorite beach on Hilton Head Island! One of our favorite places to visit is the Salty Dog Cafe. If we aren’t at on the beach or in the pool, that’s where you will find us. Although the Salty Dog Cocktail isn’t connected to the Salty Dog Cafe in any way, the two are both favorites of mine. This drink is perfect for when it is hot outside and you aren’t quite in the mood for a margarita. 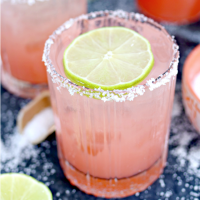 The mix of grapefruit, vodka, and a hint of salt and lime has made this a favorite among our friends that visit…bones, it’s super easy to make too! 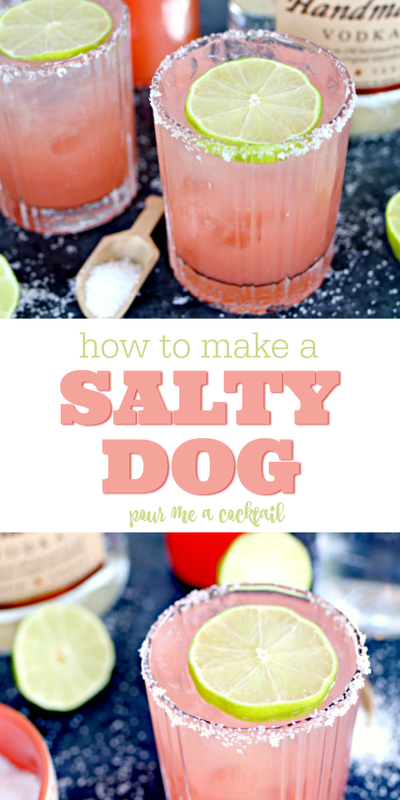 This delicious Salty Dog Cocktail is my favorite beach cocktail. 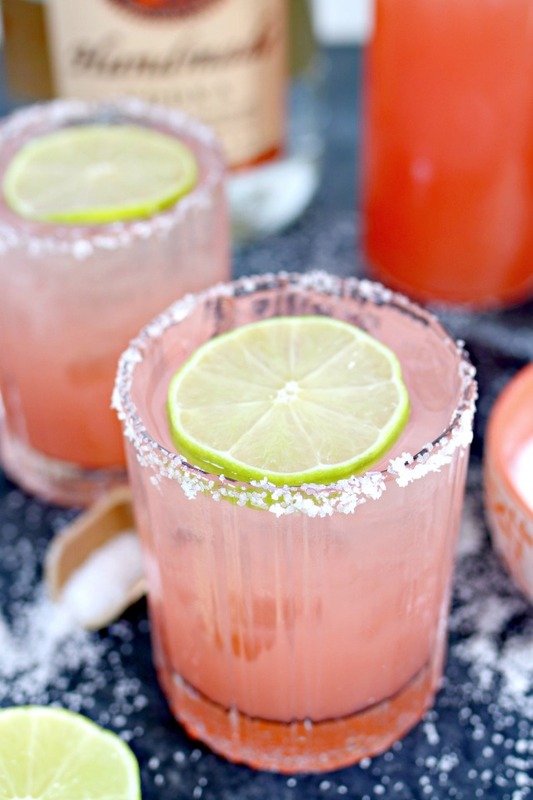 The mix of grapefruit and vodka with a hint of lime and salt is so refreshing and tasty! 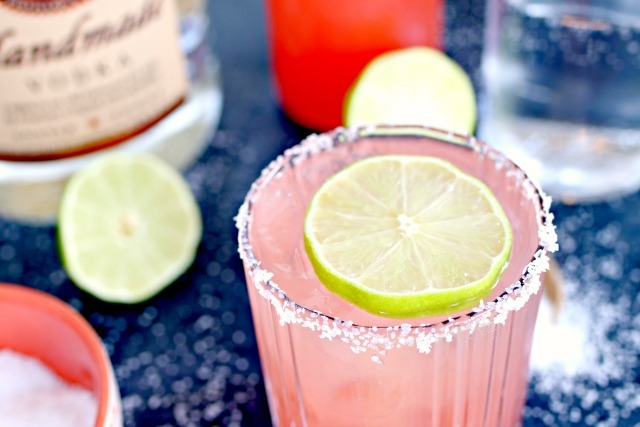 Use a lime wedge to moisten the rim of a glass and dip in Kosher salt. Add 3 ounces of grapefruit juice and 1 ounce of vodka. Top with a splash of lemon-lime soda or La Croix. This Raspberry Gin Fizz is one of the most refreshing cocktails you can make! 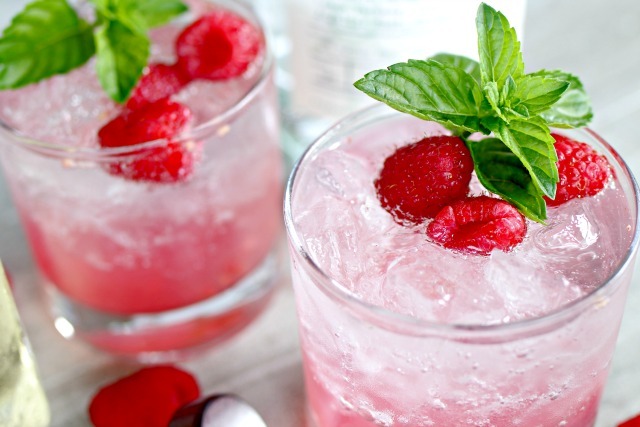 It will quench your thirst and has a nice light raspberry flavor! 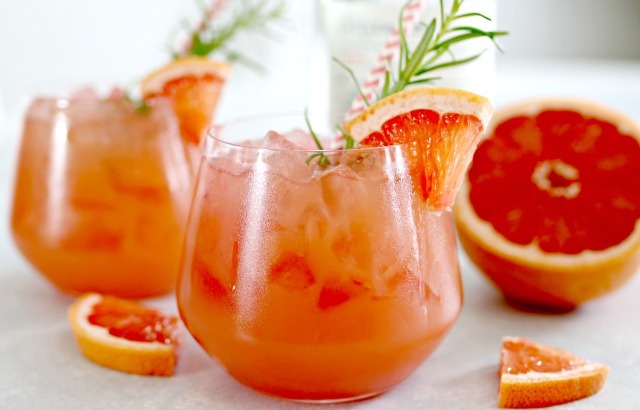 If you love grapefruit juice try this Grapefruit Sunrise Cocktail. It’s packed with flavor and makes a perfect brunch drink too. 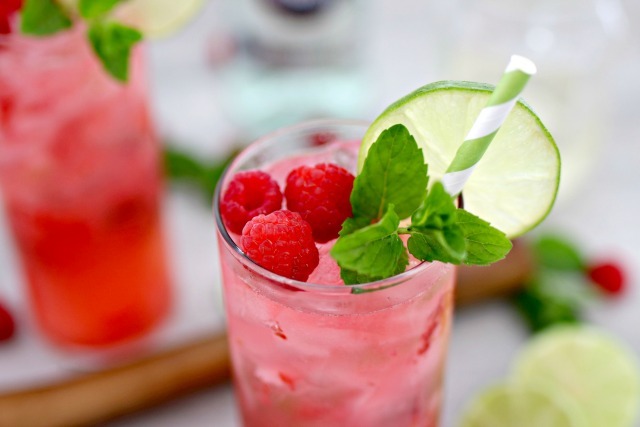 My hands down favorite summer drink is a Raspberry Mint Mojito! It’s made with the freshest ingredients and you can tell…this cocktail will impress your guests and quickly become one of your favorites!